In a curious turn to Jaipur's BMW accident case, the police now have, not one, but two drivers by the same name, claiming have driven the car that had mowed down three people on the night of 1 July. 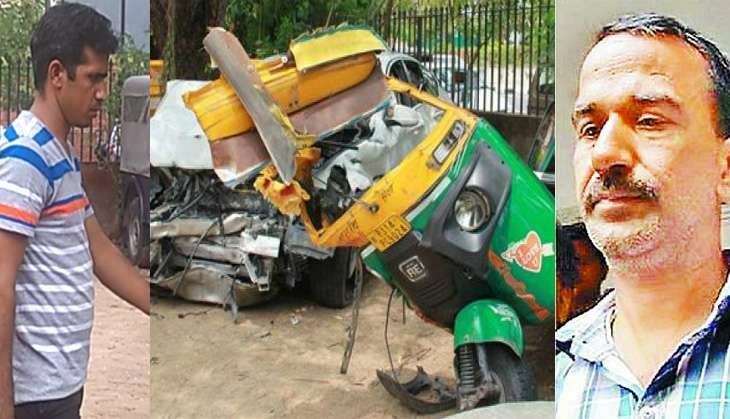 However, the police still believes it was Siddharth Maharia, the son of independent Rajasthan MLA Nandkishore Maharia, who was driving the car in the inebriated state at the time of the accident. Investigators have collected crucial evidence, including Siddharth's blood samples from the accident site, to buttress its case. The MLA's son was taken to the Ashok Nagar police station soon after the incident. On the afternoon of 2 July, a man named Ramesh walked into the police station and claimed that he was behind the wheel at the time of the accident. Police sources say that this man was apparently injured in the foot and was not able to walk properly. He was reported missing by that evening. Curiously, the man who appeared in court on 3 July was not the same 'Ramesh' that the police had met a day ago. The man, who also claimed to be a driver named Ramesh, told the court that he was responsible for the accident. What's more, he said that he had gone underground on Saturday for the fear of the police. This Ramesh was called again to the police station at around 8pm on Sunday. When grilled with some tough questions, he reportedly admitted that he was in Sikar with Siddharth's father Nandkishore Maharia at the time of the incident and had returned to Jaipur at 4 AM on Saturday. This claim was contradicted by the MLA in a telephonic conversation with Catch late on Sunday night. According to Maharia, Ramesh was "firmly on their side". He also handed the phone over to a man that he claimed was Ramesh. This man accused the police of lying and said that there was no difference in the statements he made in the courtroom and the one he made in front of police officers. Meanwhile, the police is trying to ascertain the identities of both the persons involved. Siddharth Maharia was sent to three-day police custody by the Jaipur court on Monday. His lawyers have insisted that the charges levelled against their client are false and it was Ramesh, the driver, who was responsible for the mishap. READ NEXT >> Cabinet reshuffle: has Prakash Javadekar been promoted at the cost of Piyush Goyal?